Our product range includes a wide range of butter paper printing machine, lamination rotogravure printing machine, pvc blanket bag printing machine, foil printing machine, aluminium foil printing machine and poly printing machine. We are spotted as a leading firm offering Butter Paper Printing Machine, Rotogravure Printing Press, Paper Rotogravure Press, Automatic Printing Machine & Cloth Bag Printing Machine to our esteemed clients. This machine is available in wide range of specifications listed below. 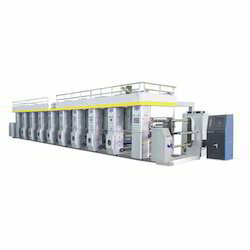 Being a reliable firm, we offer Lamination Rotogravure Printing Machine, Cup Printing Machine , PVC Printing Machine , Plastics Bag Printing Machines & Semi Automatic Printing Machine to our clients.This rotogravure printing machine is suitable for roller to roller printing plastic film, aluminum Foil, BOPP, PET, PVC, PVC Foil, PE, CPP and Paper etc. It is widely use in high quality packaging material printing. 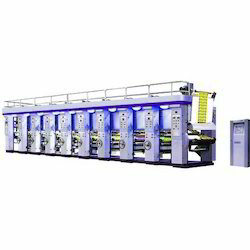 We are engaged in offering PVC Blanket Bag Printing Machine, Rotogravure Printing Machine , Gravure Printing Pressess , Film Rotogravure & BOPP Tape Printing Machine to our clients.The machine helps in the accomplishment of printing job on various materials such as paper, aluminum foil, film and laminates. All these material are of varied thickness. 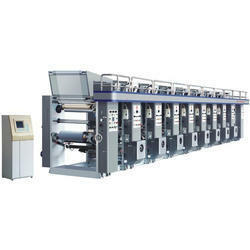 We offer Rotogravure Printing Machine that facilitates in-line processes such as lacquer coating, PVC, Lamination and other. 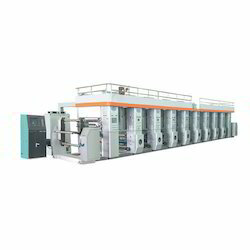 Our machines help us in achieving integration of various in-line processes and boost of a modular design.This rotogravure printing machine is suitable for roller to roller printing plastic film, aluminum Foil, BOPP, PET, PVC, PVC Foil, PE, CPP and Paper etc. It is widely use in high quality packaging material printing. Widely used for the purpose of printing flexible packaging material, we offer Foil Printing Machine to our clients. These are extremely valued for their study construction, user friendly interface, durability and low maintenance. The offered machines are manufactured from high grade raw material that is sourced from some of the certified vendors of the market. Our clients can avail these machines with super simplex unwind & rewind facilities, at market leading prices. Being a reliable firm, we offer Aluminium Foil Printing Machine to our clients. 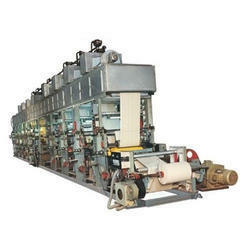 These machines are durable and ensures long service life. We are one of the top most firms offering Poly Printing Machine , Rotogravure Printing Machine,Paper Rotogravure Press , BOPP Printing Machine & Cup Printing Machine to our clients. Counted as one of the foremost companies of the industry, we are instrumental in manufacturing, supplying and exporting a supreme quality collection. Widely used for the purpose of printing flexible packaging material, we offer Poly Printing Machine etc.to our clients. These are extremely valued for their study construction, user friendly interface, durability and low maintenance. The offered machines are manufactured from high grade raw material that is sourced from some of the certified vendors of the market. Our clients can avail these machines with super simplex unwind & rewind facilities, at market leading prices. 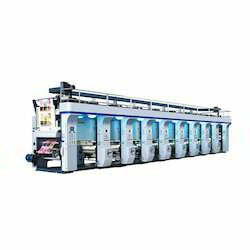 Looking for Poly Printing Machine ?